licensed by the Federal Service for Ecological, Technological and Atomic Supervision. Innovative features and original designs have been patented by Hydrogas. 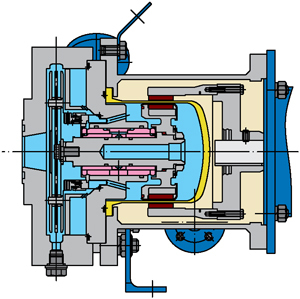 In the pump the discharge pressure is created by a working mechanism consisting of two disks, which move the product using the forces of viscous resistance. 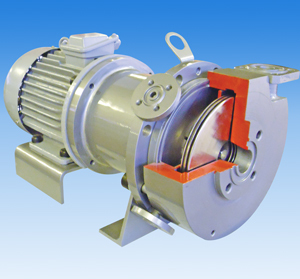 This pupms have major advantages over centrifugal pumps when handling high viscous, inhomogenious and abrasive media. 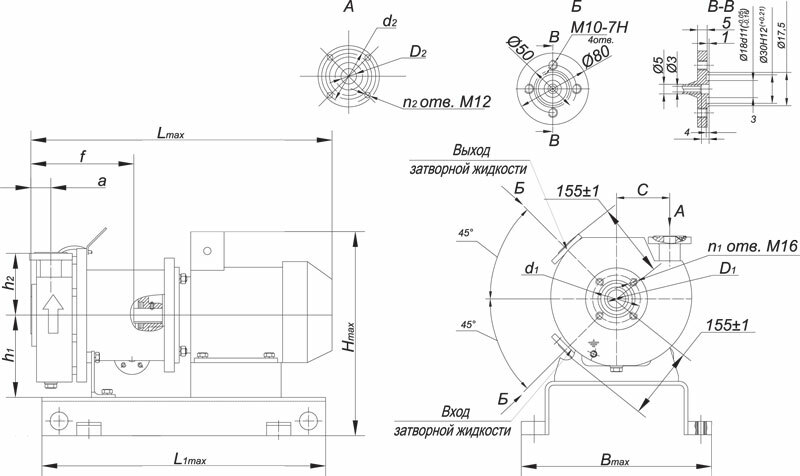 The use of hybrid seals helps to eliminate leakages of highly aggressive and viscous (up to 10000 cSt) media containing solids and fibres. liquid polymers, gels, greases, syrups, etc.